The Lean-On Coat Stand is a simple and ingenious piece of furniture by the Dutch design company Cascando. 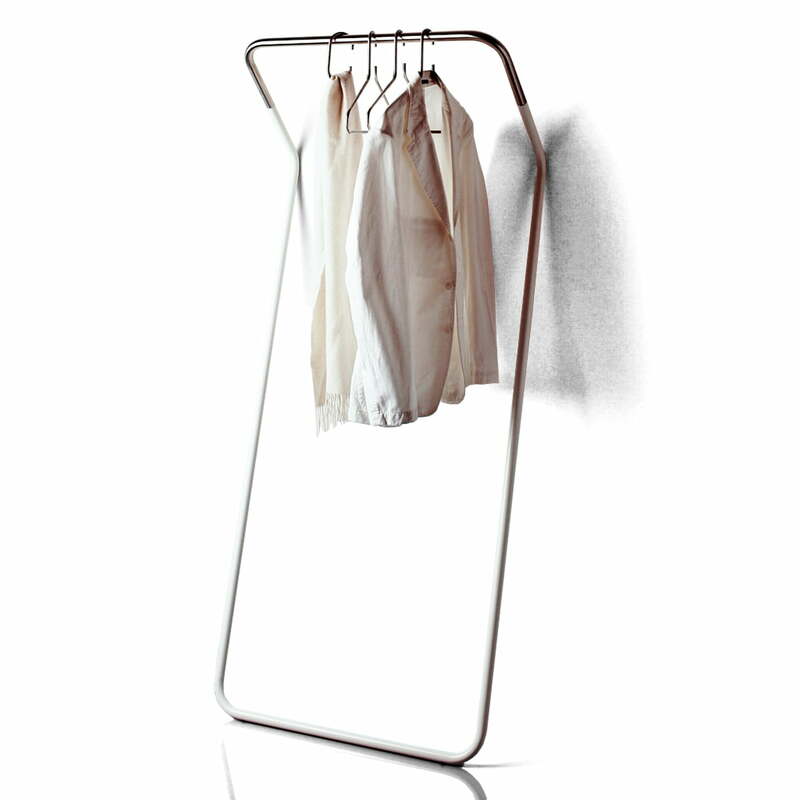 It is suitable for eight to ten clothes hangers and is made from brushed stainless steel combined with a high gloss-white frame. The coat stand is simply leaned against the wall which causes the stringent form to become surprisingly light and relaxed. 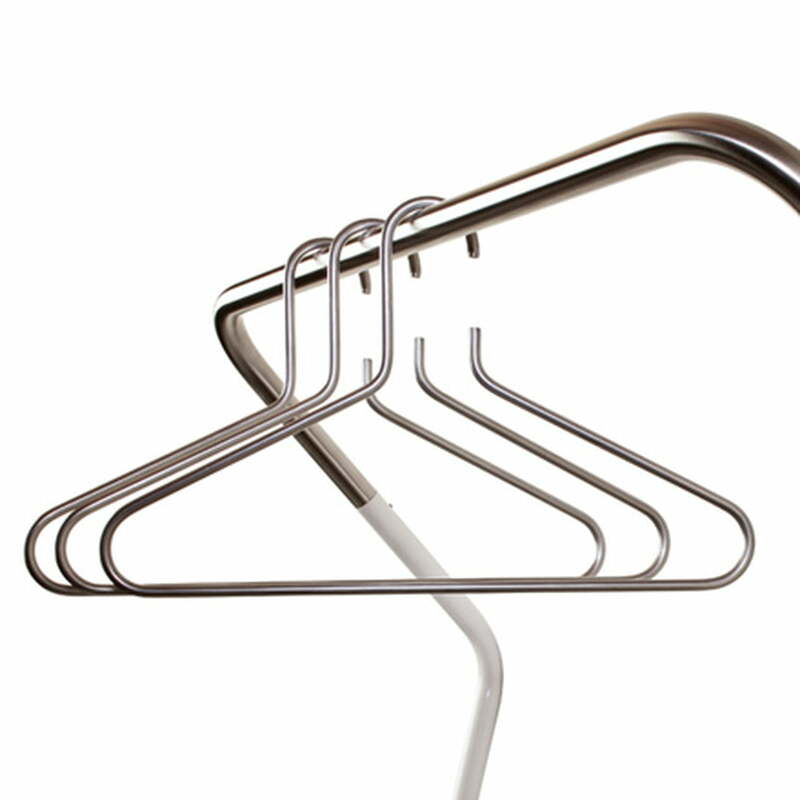 The corresponding clothes hangers complement the classic industrial design as they are also made of stainless steel and come without any frills. With the Lean-On, the Dutch designer Peter van de Water successfully created a timelessly beautiful piece of furniture for both - public spaces or the home. It looks nice in the entrance area as well as in the bedroom.